Mike and Mel had a pretty typical family life until Mike was 11 years old, which is when Mel told the family that he was gay. Mel and Mike’s mother remained married until Mike and his sister, Erinn, went to college. Mel is now married to his life partner of 27 years, Gary Nixon. Mike works as a writer, director and actor in Los Angeles. His writing credits include the feature films "Nacho Libre" and "School of Rock," in which he also starred opposite Jack Black and Sarah Silverman, as well as the television series "Pasadena." Mike and Mel are eager to spend some quality time racing around the globe. Mike describes himself as entertaining, thoughtful and “ridiculously pale.” These two might not be the most physical team on the Race, but they’ll surely compensate with their wit and communication skills. Mel, a gay-rights activist, has worked as a writer, professor, filmmaker and a pastor and is eager to have a once in a lifetime experience with his youngest child. He’s confident that his people skills will give him an advantage over some of the other Racers. He describes himself as energetic, caring and passionate and enjoys scuba diving and racquetball. When asked who he would model his style of game play after, he pointed to Season 7 winners Uchenna and Joyce, while Mike will model his game play after the "never say die" attitude of Charla and Mirna. 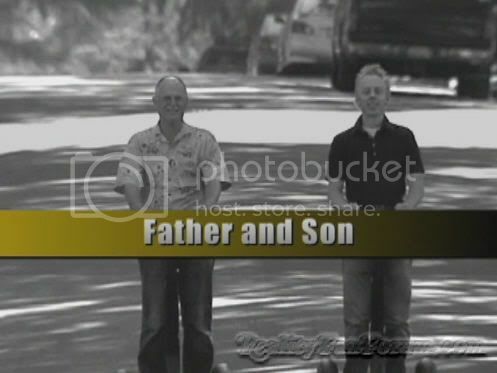 The celebrity team of the race, Mike and Mel are a LGBT goldmine for the producers. Unfortunately, the train has already left the station for these two, and I can’t see them making it very far, finishing where I think Nicolas and Donald should have ended up. When asked who he would model his style of game play after, he pointed to Season 7 winners Uchenna and Joyce, while Mike will model his game play after the "never say die" attitude of Charla and Mirna. BUT, i'm guessing they will be one of the first three teams eliminated. Very big feeling about that. At 68, Mel White is the season's oldest contestant. The gay-rights activist and former speechwriter for Pat Robertson and Billy Graham is teamed up with his 38-year-old son Mike White, the actor-screenwriter who penned such films as "School of Rock" and "Nacho Libre." 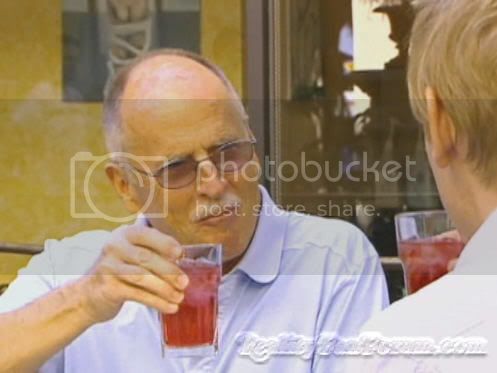 Despite the frantic pace of the race, Mike insists he didn't bicker much with his dad. "Compared to some of the other teams, I think we got along like a Hallmark card," he said. This really IS amazing: gay writer and activist Rev. 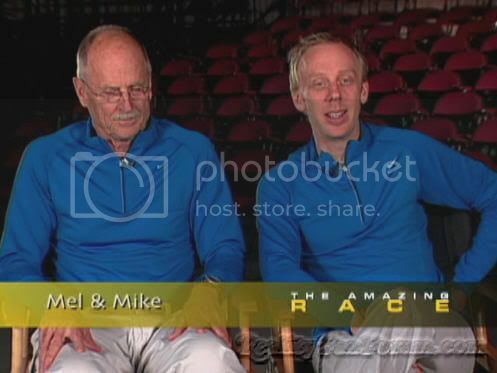 Dr. Mel White and his son, screenwriter/actor/producer Mike White (who is himself bisexual), are competing together on the next season of The Amazing Race, set to premiere in a few weeks. White's son, Mike, is known for appearing in movies like the brilliantly unsettling Chuck & Buck (which he also wrote), School of Rock (which he also wrote), and The Good Girl (which he wrote). He also wrote and directed Year of the Dog (starring Molly Shannon) and was one of the forces behind the shortly-lived fan fave series Freaks & Geeks (in which he also briefly appeared). To have two gay men who are also relatives and who actively work to promote visibility and understanding on the show is really awesome. Let's hope they last! Oh I LOVe their video! they make me laugh, they are going to be FUN! 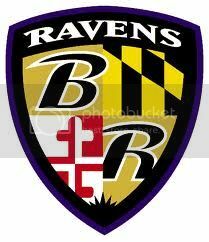 I'm pretty sure this is my favorite team! Mike will give us a lot of one liners while he's in the race. His writing experience practically guarantees this. Yep. I love them but I plause them as an early boot. Like all the father and sons! 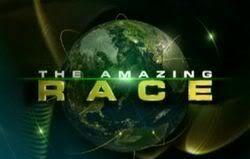 When “The Amazing Race” premieres next month, Lynchburg will have something to root for. 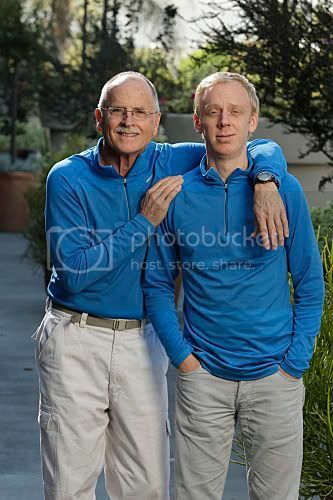 Hill City resident Mel White, co-founder of the Christian gay-rights organization Soulfource, is running the race with his actor/director/screenwriter son, Mike. “It was the most glorious, fun time of my life,” said Mel White, who is, at 68 years old, this season’s oldest contestant. White said he’d never seen the show until recently, but had always heard about it from Mike, an avid fan. The CBS reality series, now in its 14th season, follows teams of two — usually family members, friends and couples — as they race around the world, competing in various challenges along the way. During each leg of the race, contestants must participate in two key challenges: a detour, in which they must choose between two tasks, each with its own pros and cons, and a road block, a task that only one team member has to complete. The last team to check into a predetermined “pit stop” each week is eliminated, and the final team standing wins $1 million. Other contestants this season include the show’s first deaf contestant, running the race with his mother; a Hawaii-bred stuntman and his jockey brother; and a couple from Martinsville. White said the trip was an amazing bonding experience for him and Mike, whose writing credits include “The Good Girl,” “Nacho Libre,” “Orange County” and “School of Rock,” in which he also costarred with Jack Black. “We started out close,” White said. 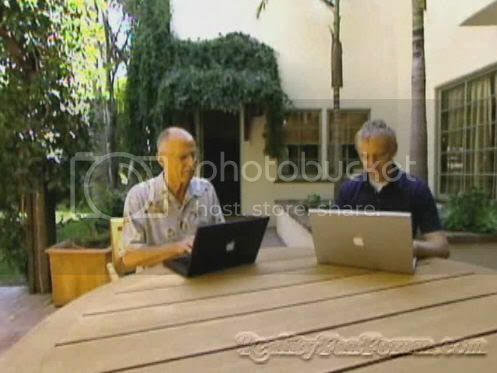 “(But) he is so busy in Hollywood, and I’m so busy with my activism, we maybe see each other six or seven times a year. Look for Mel and Mike’s reality debut at 8 p.m. Feb. 15.
haha. I watched their video. Really nice! It's not like I need any extra convincing to watch The Amazing Race, a.k.a. Why The Rest of the World Hates America, Plus: Gross Food! every season. 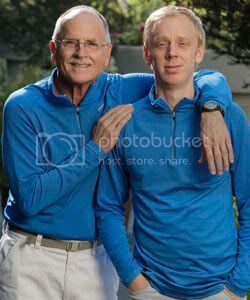 But the casting of writer-director Mike White (pictured, right, totally jazzed) and his gay rights activist dad has me more pumped than ever. Mike, who wrote School of Rock and Nacho Libre and directed 2007's Year of the Dog, assures us that unlike some of the other teams, he and pops "got along like a Hallmark card." Boy better be talkin' 'bout Shoebox! I'm SOOOOOO happy the cast is released! It took a while but it's wonderful now! My prediction for this team: 8th Place finish. They will last a little longer than expected, then will be eliminated. haha I love Mel & Mike! But agreed, they will go early. Where did we see that before? Perhaps a certain Ikea during a counting detour? Same. 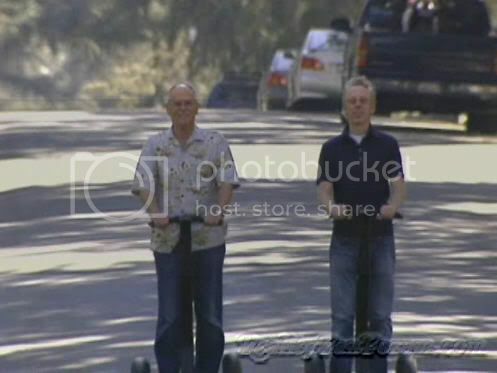 I think Mel's age will hinder him and Mike enough to make them fall behind on at least the second or third leg. Maybe fourth, if they get lucky enough to get that far. Sorry if that has already been mentioned, but this team got a Cheers in the Cheers and Jeers section of the newest issue of TV Guide! "Cheers to Mike White for entering The Amazing Race as a dark horse. 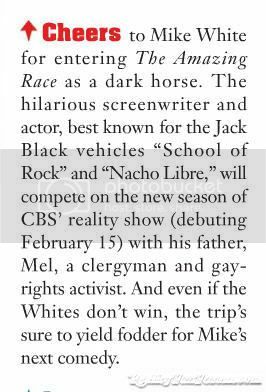 The hilarious screenwriter and actor best known for the Jack Black vehicles 'School of Rock' and 'Nacho Libre,' will compete on the new season of CBS' reality show (debuting February 15) with his father, Mel, a clergyman and a gay-rights activist. 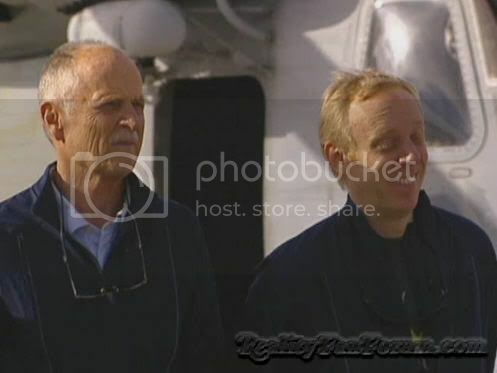 And even if the Whites don't win, the trip's sure to yield fodder for Mike's next comedy." Can't wait to see this in action! Unfortunately, this was the only mention in TV Guide. I was hoping for a nice, long article or something being that the show is premiering. Instead, we get the new Survivors asking Jeff Probst a bunch of questions. Anyway, go Mel and Mike! My guess? The Blacks were black and had the last name Black. Similarly, Mel & Mike (especially Mike) are white and have the last name White.